Bedroom is a place where we spend time at home. In order for you to be comfortable at home of course the bedroom needs to be designed according to taste. Here are 9 Bedroom Decoration Tricks with Vintage Design. Paint with light or pastel colors for your room wall. You can also add fresh plants in the corners of the room. The wall calendar is too mainstream. Print your own wall calendar with polaroid photo shapes like this. Then hang with a paper clip. Have an old unused book? Make it a wall decoration as well as a hook on the wall. You can stick it to the wall with the open position. 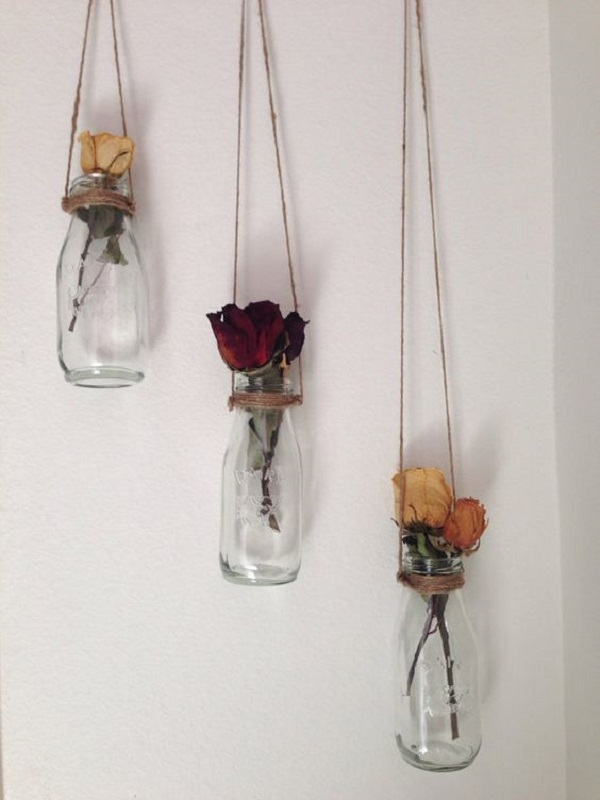 Prepare a hemp rope, glass bottle, milk and flowers (can be original or plastic). Tie the bottle neck with a hemp rope and hang it on the wall with the position as shown. Finally, enter the interest as the contents. On each step you can give wood as a placemat. You can directly use it as a shelf or table. 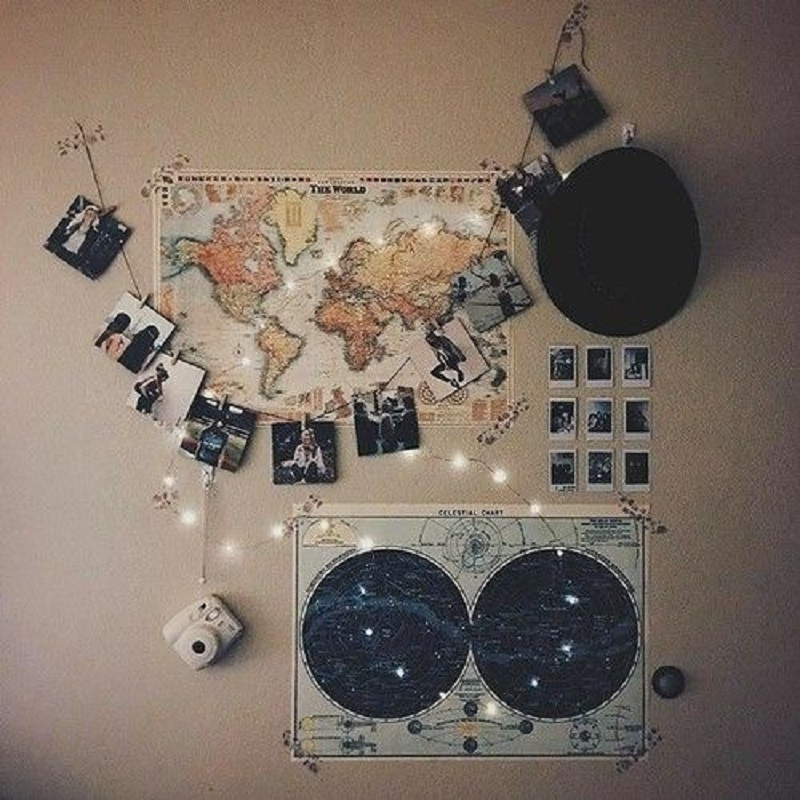 Try hanging a map of the world, other than that you can hang a variety of photos on a rope. As a final touch, simply hang a Christmas tree light to beautify it. Have used luggage that is no longer used? Insert the wooden sheet with the position as shown. 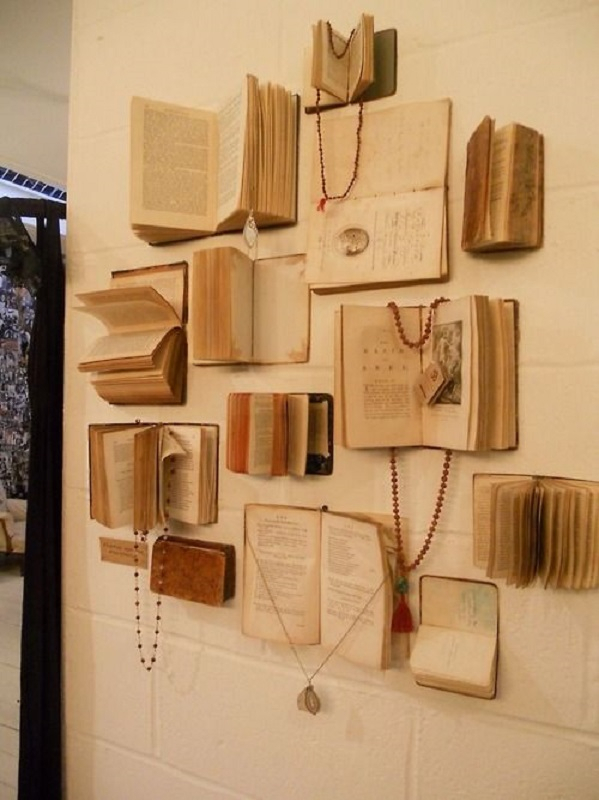 Voila!, you can use it as a shelf while beautifying rooms. Frames or used frames should not be discarded first. 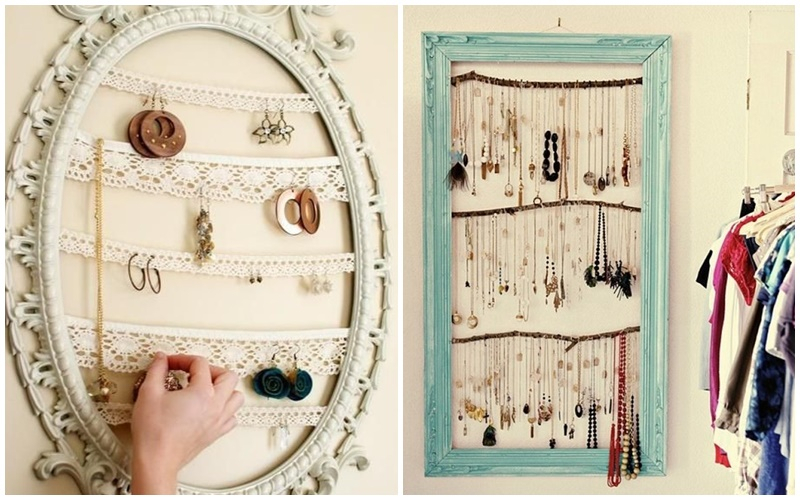 You can turn it into a jewelry place. Stick the flower vertically with insulation. Finally you have the sweet walls in the room with a touch of vintage.